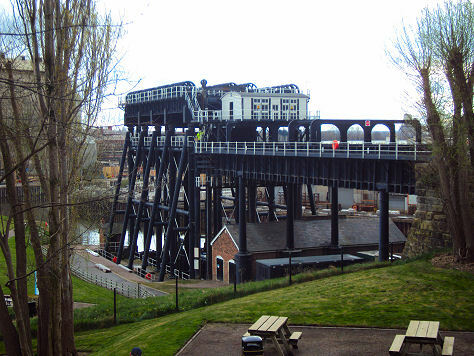 The Anderton Boat Lift, the world's first and England's only boat lift, is situated at Northwich. Dating from 1875, the Anderton Boat Lift is one of the greatest monuments to Britain's canal age and known as the "Cathedral of the Canals". 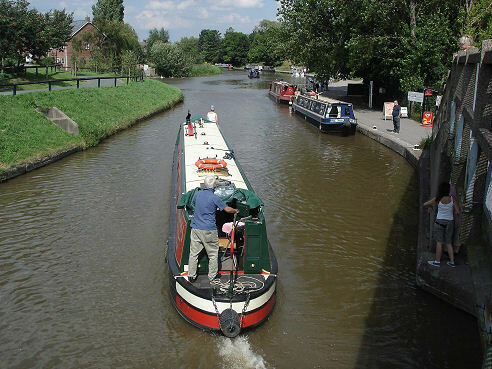 It provides a fifty foot vertical link between two navigable waterways: the River Weaver and the Trent and Mersey Canal. In the course of repainting work in 1983 extensive corrosion was found in the structure of the lift which led to its closure. It was restored in 2001 and reopened in 2002. Videos depict the restoration and there is a full explaination of how the hydraulic system operates. The glass topped Edwin Clark trip boat operates on a regular schedule through the lift and thirty minute navigation trips to Northwich are available. 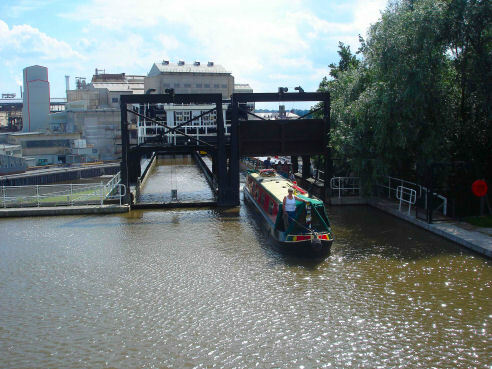 The lift and associated visitor centre and exhibition are operated by British Waterways. Waterplay area, cafe, gift shop and towpath walks.